Massimiliano Bonacchi is Full Professor in Accounting at the Free University of Bozen-Bolzano in Italy. He graduated and received his Ph.D. from the University of Florence (I). He has been a visiting professor at NYU Stern School of Business and Baruch College CUNY (USA). His research interests include financial reporting and disclosure, financial statement analysis, managerial accounting, and corporate social responsibility. He has published in various international peer-reviewed journals, including Contemporary Accounting Review, Business Strategy and the Environment, and Management Accounting Quarterly. 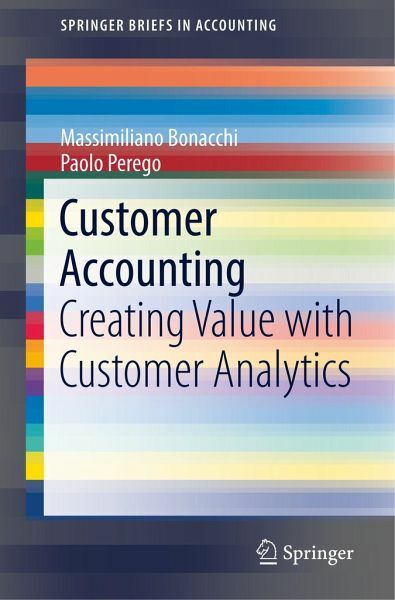 Paolo Perego is Associate Professor in Accounting at the Free University of Bozen-Bolzano in Italy. He is a graduate of Bocconi University (I) and EPFL (CH), and he received his Ph.D. at Radboud University Nijmegen (NL). He is visiting faculty at the Rotterdam School of Management, Erasmus University (NL), where he has been Associate Professor. His research and teaching interests include managerial accounting, performance measurement systems, sustainability accounting, and Integrated Reporting. He has published in several international peer-reviewed journals, including Accounting, Organizations and Society, Journal of Management Studies, European Accounting Review, Journal of Accounting and Public Policy and Management Accounting Quarterly. 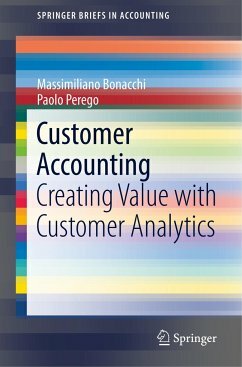 1 Introduction.- 2 Customer analytics: definitions, measurement and models.- 3 Customer analytics for internal decision-making and control.- 4 Customer Equity for external reporting and valuation.- 5 Conclusions and trends to look forward.